Hello! My name is Julie Caton, and my business - Caton's Capers - is a multi faceted organization. It reflects some of my many interests and endeavors. 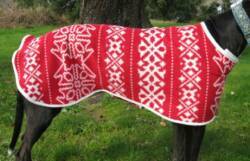 I make handmade greyhound coats and collars. I do custom carving in both wood and eggs. If you have a project in mind, let me know! Caper: 1. to leap or skip about in a sprightly manner; prance; frisk; gambol. 2. a playful leap or skip. 3. a prank or trick; harebrained escapade. 4. a frivolous, carefree episode or activity. 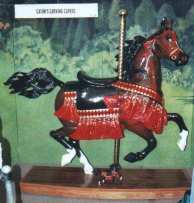 Caper is an alteration of Capriole which is an "air above the ground" that war horses performed. They leap up and kicked out their back legs. The whole caper concept (minus frivolous perhaps - but then again maybe not! :)) just seems to fit in with my personality and the things I like to do. I had originally called my business Caton's Carving Capers, but the shortened version allows much more scope for my interests! It all started with the carving of Kismet, and the finding of another love of my life, carving. In the finding of that love I rediscovered an old one, model horses. I never got involved in showing model horses as a girl, but I am correcting that lapse now! 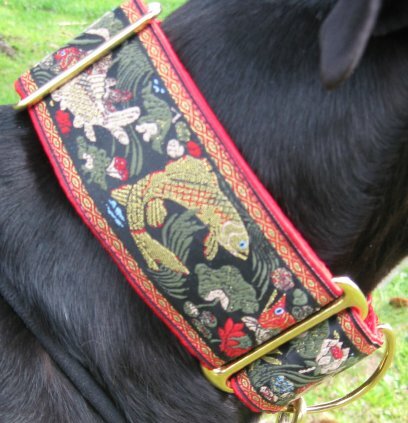 I also adopted a retired racing greyhound and have acquired another passion and another way to spend time and money - making dog coats and collars!